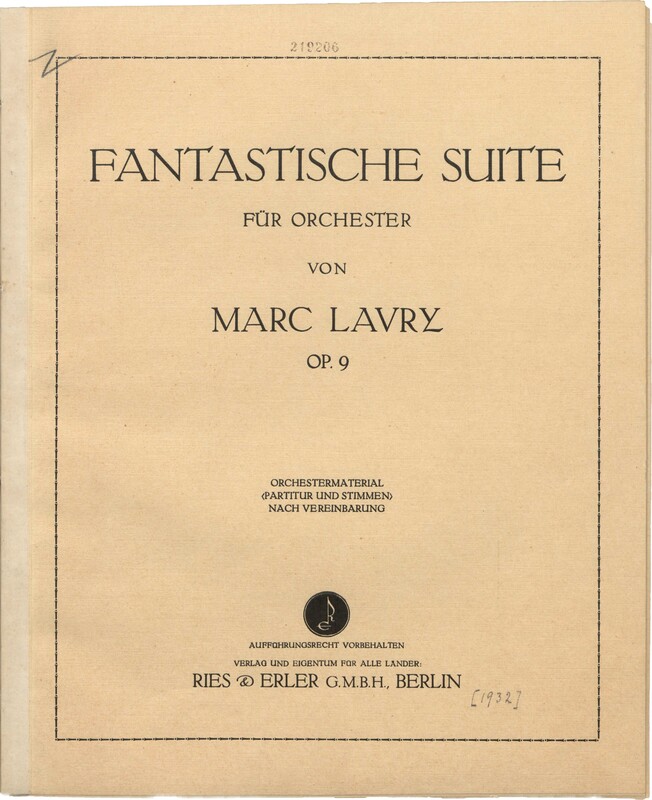 The Fantastische Suite was composed in 1930 in Lavry’s European style for which he was known prior to immigrating to Israel. 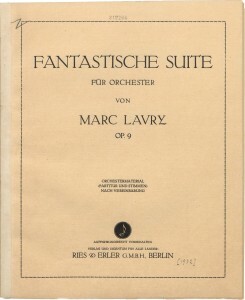 Though this is a very early composition, Lavry’s quintessential writing technique and orchestration are evident. 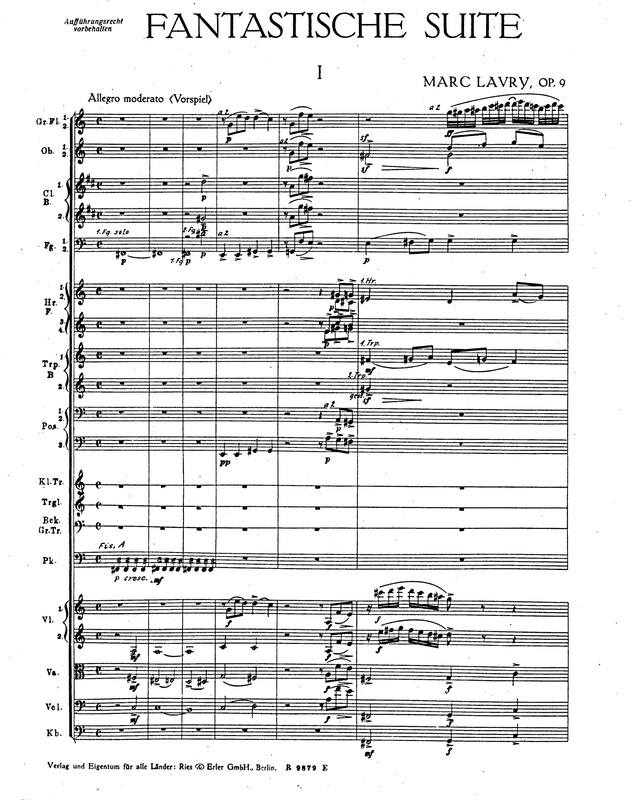 The composition was originally published by the famous music publisher Reis & Erler g.m.b.h, Berlin. 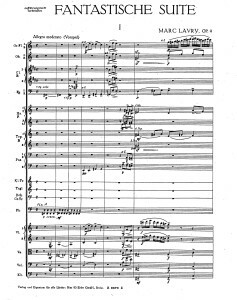 A copy of the score still exists in the Staatsbibliothek zu Berlin (State Library in Berlin).